Everest 3.0 Yes. Yes. A Thousand Times, Yes. 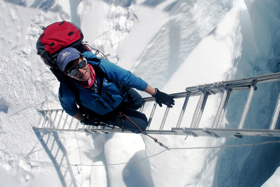 Everest 3.0… Yes. I’ve waited 5.5 years to say that. Now that I let the cat out of the bag with The Telegram article, I guess I’ll say it out loud here. Yes. Yes. A thousand times, yes.